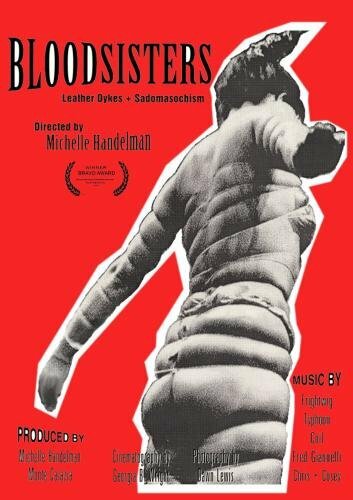 From pushy bottoms to macho femmes, Bloodsisters is an A-Z documentary guide that takes an in-depth look at the San Francisco leatherdyke scene during the mid-nineties, shattering assumptions about gender and lesbian sexuality. Handelman’s film doesn’t describe the bounds of permissible fantasy in the women’s leather community; rather it broadens the discussion about private expressions of eroticism and their political implications. Eight self-described leather dykes tell their stories about participating in a subculture cast off by its own immediate ally, the larger lesbian community. Surrounded by the paraphernalia of S/M ritual, these women collapse the cheap stereotypes used to demonize them. 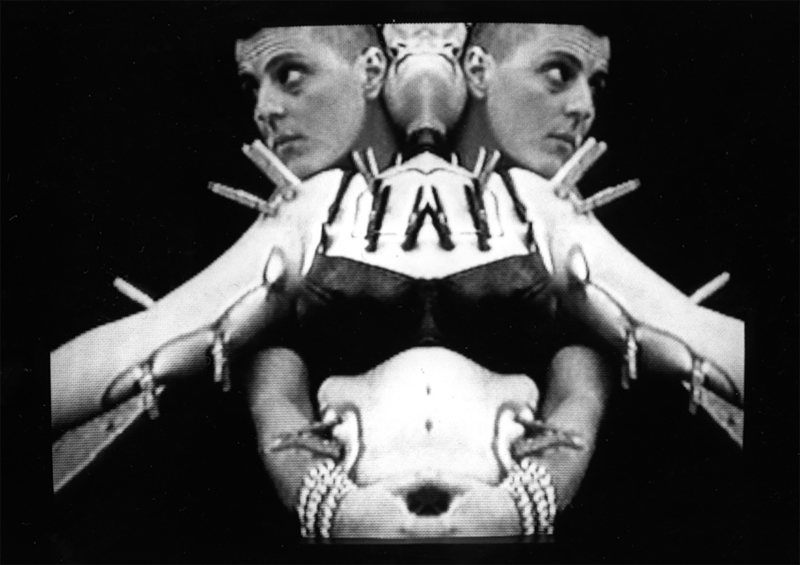 This film documents a subculture within a subculture; seen by some within the gay/lesbian community as being traitors to the cause, these practitioners are the queerest of the queer, and the group’s strong desire for self-definition shines through. This controversial film was attacked in congress by the conservative American Family Association for its depictions of radical lesbian sexuality, but the film reveals a fluidity to role-playing that is far more complex. As one woman declares S/M is about “finding your own boundaries and moving beyond.” Slave auctions, activist events, and the International Ms. Leather competition are artfully joined to the interviews, while a soundtrack by SF riotgrrl punk bands Frightwig and Typhoon and industrial music masters Coil and Chris & Cosey propel BloodSisters along. “A ground-breaking documentary!” Time Out, New York. Featuring Tala Brandeis, Patrick Califia, J.C. Collins, Queen Cougar, Amy Marie Meek, Skeeter, Wickie Stamps, Peggy Sue, Ann Soucy-West and others. Made with the support of the Film Arts Foundation Grant and Horizons Foundation Grant.